Cultivate your imagination and resourcefulness through the Texas A&M University-Commerce Department of Art. The Department of Art inspires and prepares students to excel in a variety of art professions and engage in a life-long appreciation of the visual arts. 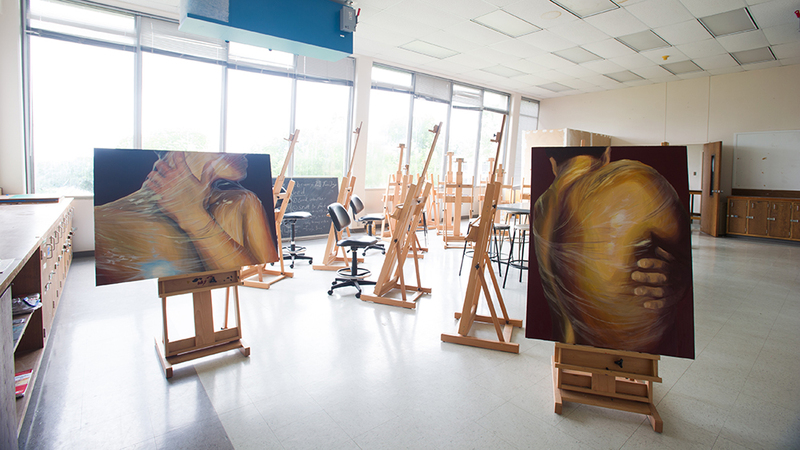 The Department of Art offers a comprehensive undergraduate curriculum in the visual arts leading to the Bachelor of Arts and Bachelor of Fine Arts degrees. Subsequent acceptance into the graduate program allows students to pursue Master of Arts and Master of Fine Arts degrees. Majors receive broad-based instruction in the foundation areas and proceed through increasingly specialized programs of study that emphasize personal concepts and technical refinement. The degrees offered are: Bachelor of Arts degree in Art with emphasis areas in Art History and Studio Art; Bachelor of Fine Arts degree in Studio Art with emphasis areas in Ceramics, Experimental Studies, Painting, Sculpture, or All-Level Teaching Certification; Bachelor of Fine Arts in Photography with emphasis areas in Commercial and Fine Art; Bachelor of Fine Arts degree in Visual Communication with emphases in Art Direction, Design, and New Media. The Bachelor of Fine Arts degree in Visual Communication prepares students for careers in the advertising industry. Advanced courses in these areas are offered in Dallas, where new facilities, field trips, and internships keep students abreast of the latest trends and technologies in the rapidly growing field of Communication Arts. The Department of Art utilizes several buildings on campus for its many different programs and courses, including the University Gallery which hosts an annual series of exhibits of interest to the university and the surrounding area. Texas A&M University-Commerce is an accredited institution of the National Association of Schools of Art and Design (NASAD). 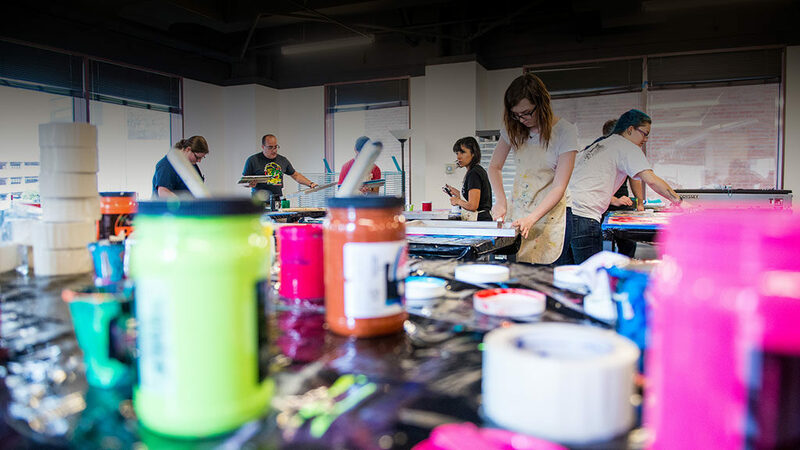 The university, and by extension the Department of Art, is also fully accredited by the Southern Association of Colleges and Schools Commission on Colleges (SACSCOC). Texas A&M University-Commerce is a member of the Apply Texas Application. Each year more and more students are using this service, as it allows them to apply to any state institution of higher education. As an art student at A&M-Commerce, you’ll build a strong foundation of practical knowledge in the natural sciences, humanities, mathematics, history, political science, arts, and behavioral and social sciences to develop as a well-rounded individual, admissions. The BFA in Art gives students the option of pursuing a degree in the areas of either Studio Art, Photography or Visual Communications. Studio Art includes the concentrations of Ceramics, Painting, Sculpture, and Experimental Studies. 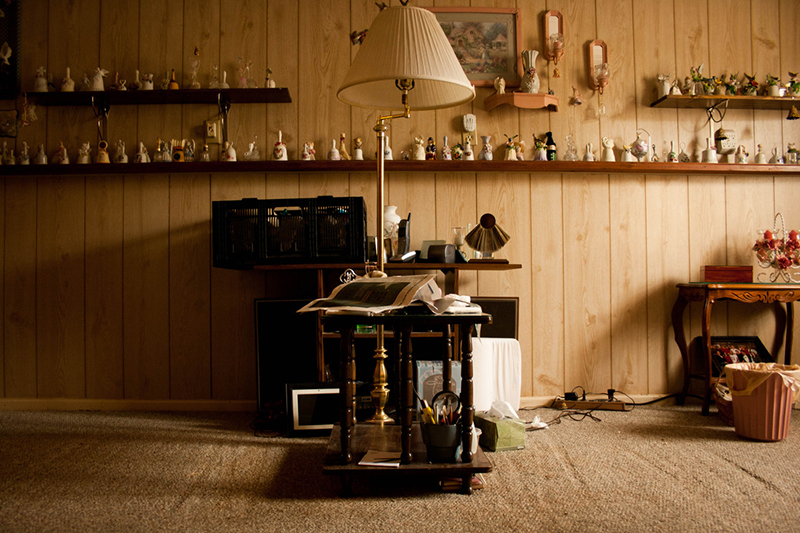 Photography includes concentration in Commercial or Fine Art photography. The area of Visual Communications includes concentrations in Art Direction, Design, New Media, and Photography. Texas A&M University-Commerce, 2600 South Neal Street, Commerce, TX 75428 Copyright © 2017 Texas A&M University-Commerce. All Rights Reserved.